Thanks for everything Don... I'll spread your name around down here, thats the kind of day I dream of all year. Would like to do it again soon, but hope we could hook up for steel soon since fall is close by. 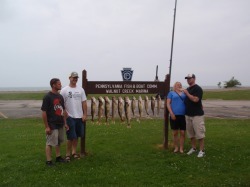 Your the best charter I have ever been out on Erie. Don't Stop!!!!!!! 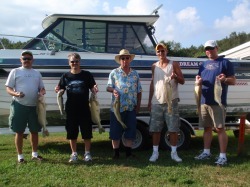 Don, Thanks for the great day of fishing, we really enjoyed ourselves in spite of being sick. You and Hans did a super job with everything, and trust that things wil continue to go forward for you with the chartering. Thanks Don! We had a great time!!!... love the pictures. Tim said he read your blog and it was awesome. We will definitely have to do this again sometime. 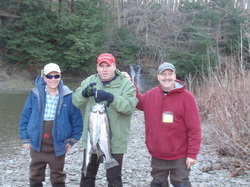 Recently went on a guided stream trip for steelhead with Capt Don. 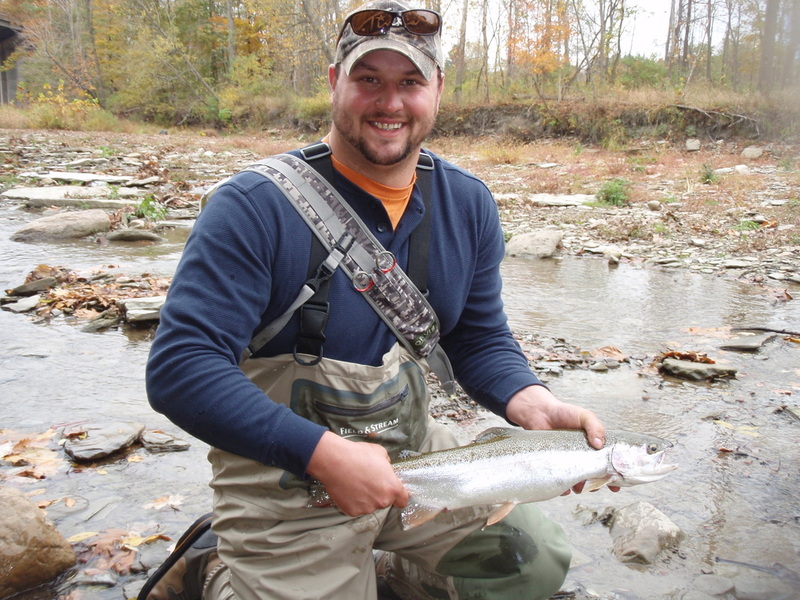 The water conditions were low and clear and not ideal for steelhead fishing. However, Capt Don put us on the fish. On a day when there were more fishermen than fish in the stream, we were the only ones catching them. Using flies that Capt Don tied himself, my fishing partner and I each caught out limits within an hour after throwing our first cast. I hooked up with a nice steelhead on my first cast of the day! Later in the morning Capt Don took us to a different stream where there were no other fisherman.....only steelhead and wildlife with scenery that that turned me into a photographer for the afternoon. 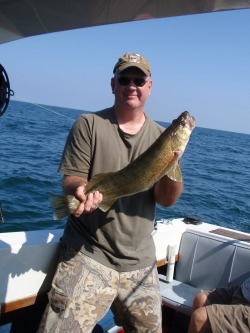 Bottom line is that if you are going to Lake Erie and are looking for a guide in either the streams and creeks or on the lake, Capt Don is the man for the job. He lives in the area, knows the area and everyone on the water knows him as he shares his knowledge of fishing the streams with everyone he comes in contact with. 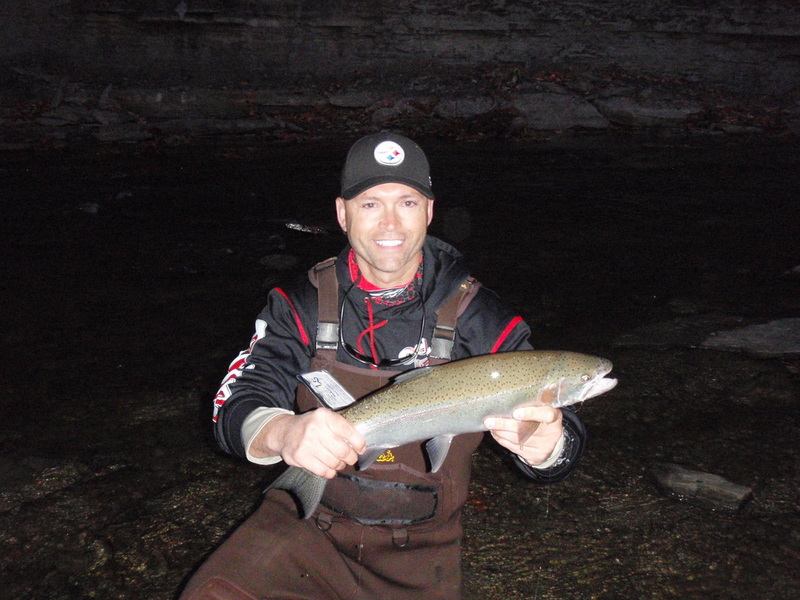 Whether you want to fly fish or fish with a spinning reel setup for steelhead, I recommend you call Capt Don for a fishing experience you won't soon forget. Thanks again Capt Don! Hope to see you on the water again . 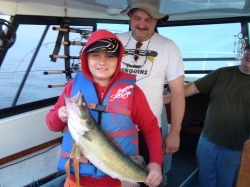 I have fished with captain Don a few times, and I will be fishing with him many more. When making the trip to Erie, captain Don makes you feel like family. His knowledge of the water and his ability to read fish will make you catch fish when everyone else has given up for the day. His hand tied flies are steelhead magnets. 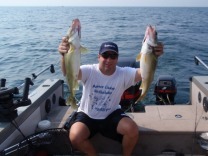 If you are looking to fish the Erie tributaries and use the best gear and avoid the hassle of retying and freeing tangles, captain Don is the only way to go. I have fly fished for about 10 years before I fished with captain don, and I learned more about reading water and presentation in ten minutes than I learned in ten years. By far the best fishing guide you will find.